In Brazil, a newborn baby was considered to be dead and buried alive. After eight hours, the baby girl was pulled out from the grave by the police officers. Her parents thought she died at birth and laid her to rest. Nevertheless, she was alive. The video shows several police officers kneeling over a deep hole in the ground and pulling a baby from the grave. They expected that the newborn was already dead, so they were extremely shocked to hear a quiet crying. 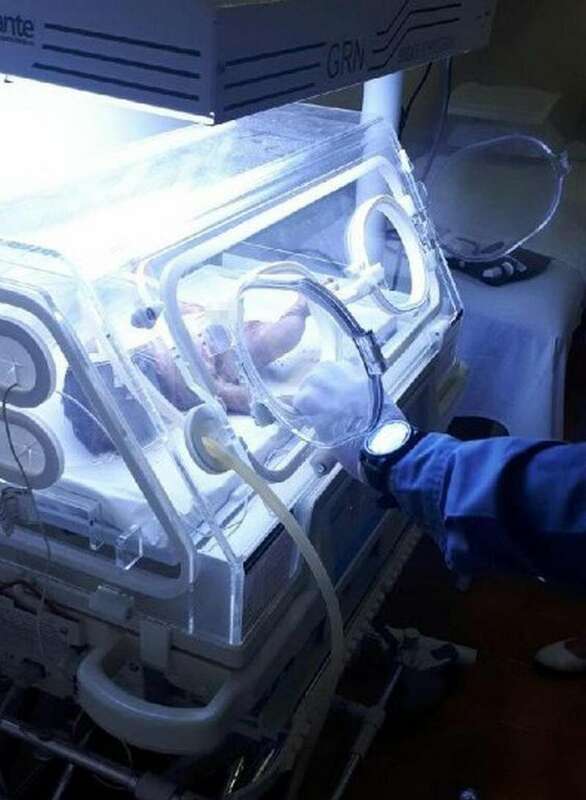 The baby girl was immediately transferred to the intensive care of the hospital, where doctors cleared her airways as well as made tests and scans to identify her health condition. Despite the horrible start of life, the girl is doing good and is in stable condition. It was reported that the mother of a child is the 15-year-old Brazilian Indian girl. She was alone at the bathroom, when the baby was born. According to her words, everything happened really fast, and the newborn fell on the floor hitting her head. The 57-year-old great-grandmother, Kutz Amin, thought the baby girl was dead, as she didn’t cry after the birth. The child was buried around 2pm but we were only called to investigate the incident late that night. This was worrying because it was many hours after the event. By the time we arrived we never expected to find the child alive. What shocked me most was how the little girl survived under the earth for as long as eight hours. It's nothing short of a miracle. We were digging out the hole when we suddenly heard a small cry underground and realized she was alive. It was a thrilling and unforgettable moment. The great-grandmother was arrested on charges of attempted murder.